Trinity College Library has acquired the Samuel Beckett manuscripts of renowned Beckett scholar Stanley E Gontarski, as well as his working library. The papers are being officially handed over by Professor Gontarski this afternoon. 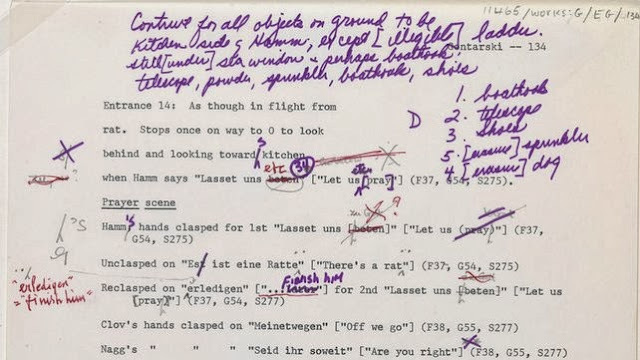 They include several drafts of Beckett's work Ohio Impromptu. The short play was written in 1980, at the request of Prof Gontarski. It was first performed in Columbus, Ohio, in honour of Beckett's 75th birthday. The new acquisition also includes Prof Gontarski's correspondence with Beckett. Trinity College say this is particularly unusual as he usually destroyed his incoming letters.